Home » Legal Services » property » Residential Property » Don’t let Japanese knotweed get you tangled up in a legal dispute. Landowners or tenants of properties affected by Japanese knotweed could bring action against the person or body responsible following the recent ruling of the Court of Appeal in Network Rail Infrastructure Ltd v (1) Williams (2) Waistell  EWCA Civ 1514. The nuisance landowner had allowed Japanese knotweed to grow in close proximity to its neighbours’ land, despite the fact that no actual damage had been caused. 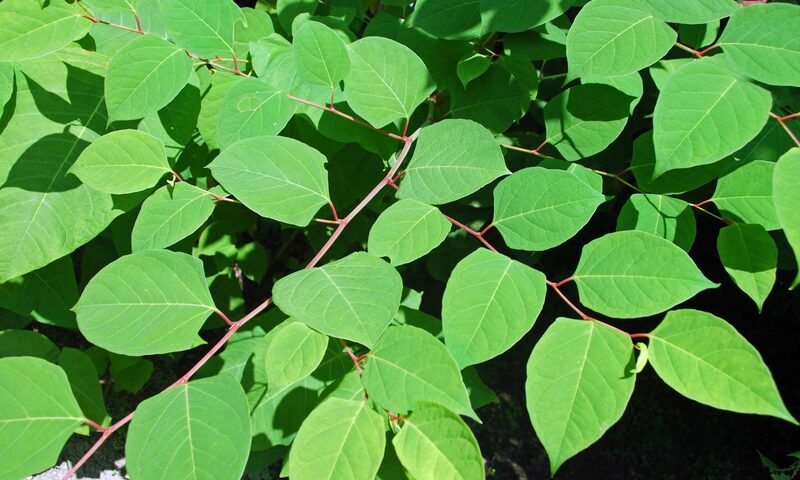 Williams and Waistell, two neighbours in South Wales had complained to Network Rail about Japanese Knotweed encroaching onto their properties from a railway embankment. The claimants’ later brought a private nuisance action against Network Rail on the basis that Japanese Knotweed had encroached onto their land, causing a loss of amenity of their properties by reducing the market value. Japanese Knotweed is a non-invasive species in the UK which can be difficult and expensive to eradicate. It can damage foundations and cause subsidence. It can have an adverse impact on the value of a property, affecting marketability and also the attractiveness of the property as a security option for lenders and insurers. The judge at first instance held that both the properties had been the subject of actual encroachment by knotweed but neither had suffered any physical damage and there was no actionable nuisance in that respect. Each was nevertheless permanently devalued in the market by the resulting stigma from the continuing presence of nearby knotweed which was actionable. On the balance of probabilities, Network Rail had failed to carry out its obligation as a reasonable landowner to eliminate and prevent interference with the quiet enjoyment of the respondents’ properties, causing a continuing nuisance and damage. The claimants were awarded damages representing the cost of eradication and a guarantee, general damages for loss of amenity prior to treatment and ‘blight’, and a further sum for residual diminution in value. The Court of Appeal upheld the initial decision of the County Court but for different reasons. It held that the initial decision had been wrong in principle to find that presence of Japanese Knotweed within 7 metres of the claimants’ land was an actionable nuisance because it diminished the market value of their properties. The tort of nuisance is to protect the owner’s use and enjoyment of the property, not to protect the value of the property as a financial asset. The amenity value of a property does not include the ability to dispose of it for an unblighted value. The Court of Appeal considered the concept of ‘damage’ in this context and held that the presence of Japanese Knotweed and its rhizomes (an underground network of roots which can be extensive) in the soil diminishes the amenity value of the land as it “imposes an immediate burden on the owner of the land in terms of an increased difficulty in the ability to develop, and in the cost of developing, the land”. This was based on the fact that soil containing knotweed rhizomes is ‘controlled’ waste under the EPA 1990 and would need to be removed by a licensed organisation. Any improvement or alteration of the property required removal of contaminated soil by special, and probably expensive, procedures. Japanese knotweed and its rhizomes were in effect a ‘natural hazard’ which affected the owner’s ability fully to use and enjoy the land. In addition, the appeal held that the first instance findings of fact in relation to Network Rail’s knowledge of the presence of Japanese knotweed and its failure reasonably to prevent the interference with the respondents’ enjoyment of their properties were sufficient, on the general principles, to give rise to a cause of action in nuisance. The Court of Appeal made observations that a claimant should be able to obtain a final mandatory injunction to compel treatment of Japanese Knotweed even where there has been no physical damage to the property. What does this mean for public bodies? The Court of Appeal went to great lengths to state that the presence of Japanese Knotweed was not actionable in nuisance because it diminished the market value of the respondents’ properties. The decision means that those claiming nuisance will need to demonstrate that the nearby presence of Japanese Knotweed interferes with their use and enjoyment of the land. However, in practice, the presence of Japanese Knotweed is always likely to interfere with a property owner’s use and enjoyment of the land. Japanese Knotweed rhizomes can spread a considerable distance (7 metres or further) from the plant. The presence of the rhizomes, despite not causing physical damage, was noted by the judge as being a ‘natural hazard’. Should you or anyone you know have been affected by any issues raised in this article please do not hesitate to contact Carol Blakey, Partner and Head of Department on 01273 716611 or email carol.blakey@coolebevisllp.com.